If you are a college student in the Pittsburgh or Western Pennsylvania area visiting this website, you have probably been charged with possessing a fake ID, or furnishing it to police. Given the improved quality in the technology used to produce fake ID cards, many young college students are able to gain access to bars without difficulty. The PA Bureau of Liquor Control Enforcement is cracking down on fake ID violations in the hopes of shutting down nuisance bars. Liquor Control Enforcement officers are conducting raids of local Pittsburgh bars, citing dozens of students with Fake ID violations, and putting pressure on students to testify against violating bar owners. He or she obtains or attempts to obtain alcoholic beverages by using another's ID or an ID card that has not been lawfully issued to the person. Please be aware that enhanced penalties for providing a False Identification to Law Enforcement may apply if the person provides a fake ID to a police officer to avoid detection. What are the penalties for Possessing a Fake ID? The penalties associated with carrying a false identification card are dependent on whether or not it is a first violation or if the person has prior violations. 1st Violation: Summary offense punishable by maximum sentence of up to 90-days in jail, a mandatory 90-day license suspension, a $500 fine, and a criminal record that cannot be expunged for a minimum period of 5 years and only if the person remains free from arrest or prosecution during that period. 2nd or Subsequent Violation: Third-degree misdemeanor punishable by up to 1 year in prison, a license suspension of 1-2 years, a $2,500 fine and a permanent criminal record. If charged, the law requires the police to inform your parents. You may also be subject to disciplinary action by your university. Should I accept a Pre-Adjudication Program for a Fake ID Charge? You are much better served having a dedicated criminal defense attorney experienced in representing college students negotiate a dismissal or not guilty verdict, than accepting a pre-adjudication program for a fake ID charge. A Fake ID charge can be considered as a crime of deception. Potential employers and educational institutions can access a conviction during a criminal background check. In a competitive job market, having a fake ID conviction on your record could be the difference between getting hired and receiving a rejection letter. If you or a loved one are charged with possessing or using a false identification card, contact our firm immediately at 412-447-5580 for a free, confidential consultation. 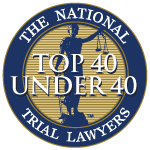 Attorney Dave Zuckerman is a former prosecutor familiar with all aspects of the justice system, and has experience negotiating with Liquor Control and university police officers. To schedule a hearing, you will have to enter a not-guilty plea by marking the back of your citation as "not guilty" and mailing in a check for the collateral fee. Included with the cost of representation, our firm can handle entering the not guilty plea on your behalf and is successful in getting the magistrate to waive your collateral. Our #1 goal for your case - negotiate for a dismissal or fight for a not-guilty verdict, and expunge your criminal record. Call us today at 412-447-5580.